Vryburg High School has been the scene of strong and sometimes violent racial tension between black and white students as well as their parents. Most recently a black student stabbed a white student in the neck with scissors. 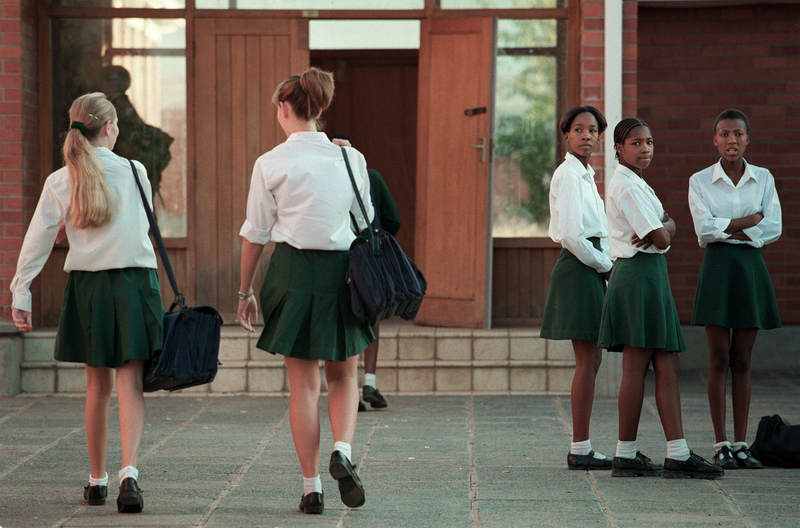 A group of black students watch as white fellow students arrive for school at Vryburg High School. Photo taken 4/15/99.